I love this sock! It's amazing! Matt keeps telling I must comment on your amazing knitting efforts rather than just drooling over the images as they load up. You are the most amazing knitter. 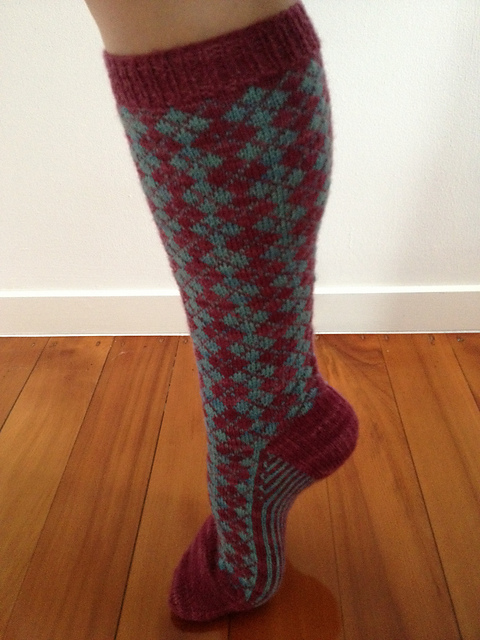 It feels like every week there is a new knitted article for me to lust over. Speaking of... Please tell me you got those two pairs of socks I sent. The tracking said they'd been delivered but one can never be too sure! I love the sock! You are such a knitting whizz. That is great your knee is feeling better, let's hope it stays that way - and have a great run! I might be down there a bit later than your race, but if you see me in the masses of spectators do say hello!